Have you ever heard people complaining of sweating in the nights, sudden heat sensed in face, head, etc? Then it is a sort of hot flashes. 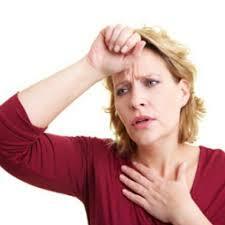 A hot flash consists of a sudden sensation of heat in the upper body, often followed by perspiration and a chill. If you have properly observed then this mostly occurs with the elder women who are at the menopausal stage. This is one of the major symptoms of the menopause and perimenopausal stages (Perimenopausal stage begins several years before menopause, when ovarian function starts to decline, and continues for several years after menopause). It cannot be said as every woman will face this problem. This is entirely based on the lifestyle habits followed by them. Ice massages: as hot flashes are considered to be the heat problem, ice massage over the spine would be much helpful to calm down the nerves and reduce the body temperature. Black cohosh: This is considered to be the pharmaceutical estrogen. So this is much beneficial in controlling the sweats and maintaining the body temperature. This works well for night sweats, mood swings and there is no need of any hormonal therapy. This can be taken till 400 mgs per day with cold water or milk. Cold packs: Take a thick towel and dip it in cold water. Squeeze it till the water does not drip down. Now place this over the abdomen and lie down for 20 minutes. The same can be done over the eyes which would equally relax to the whole system. Jeera decoction: Generally jeera has the property of cooling. So take 2 teaspoons of jeera and dry roast it till it becomes dark brown. Now add two glasses of water and let it boil till it reduces to one glass. This can be consumed with jaggery once in a day. Consuming Soy Products: According to soymilkexpert.com reviews site, soy products are believed to provide good relief from the problem of hot flashes. However according to researches and reviews these products worked for some of the elder women and has not worked for many elder women who are suffering from menopause symptom. One can of course consume products such as soy milk, roasted soy nuts, soy cheese, etc for getting the relief but only after getting the recommendation of their doctors.